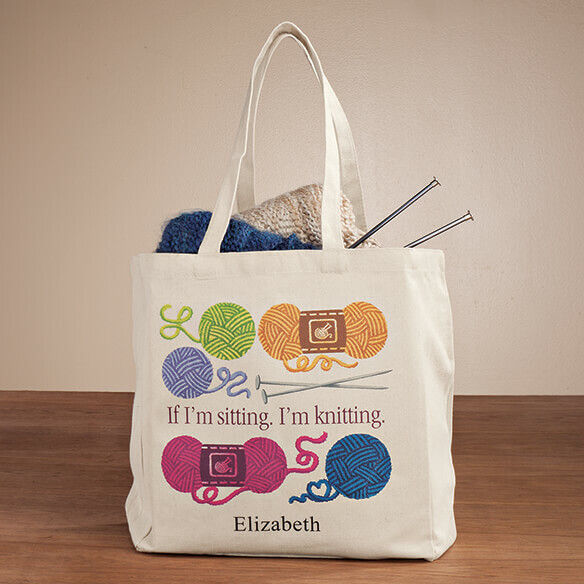 Crafty love is on display with this Personalized If I'm Sitting I'm Knitting Tote. Colorful yarn and needle design reads "If I'm sitting, I'm knitting." 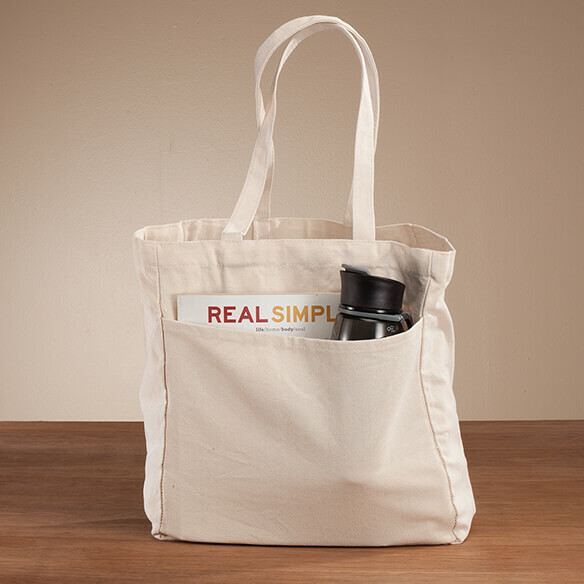 This personalized tote bag features an outside pocket for easy access to smaller items and 11" drop handles for comfortable carry. Makes a great gift for your favorite needle crafter! Specify name: 1 line, up to 15 letters/spaces. 13" wide x 13 1/2" high with 10" high outside pocket; bottom expands to 6 1/2". Durable poly/cotton. 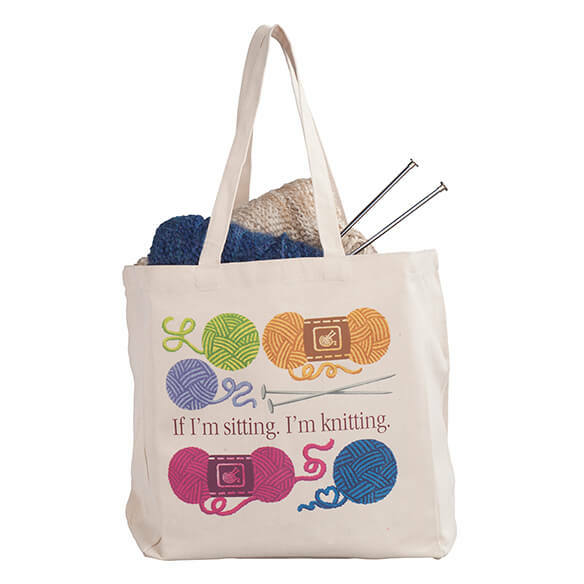 Excellent gift for an avid knitter. This was a gift to a knitter. I absolutely love this bag. My mother gave it to me for Christmas, a gift from her heart since I didn't request anything like it. I immediately filled it with my current knitting project and supplies, and now I have all of them in 1 bag to carry with me. The design is cute and the fabric appears to be very durable, like canvas. I'll always cherish it!